Literature and arts represent one special aspect of spiritual life of society, which contributes to fostering virtue and dignity of the new socialist man. As for the Vietnam People’s Army (VPA), literature and arts make direct contributions to establishing the military cultural environment and the virtue and dignity of the revolutionary military personnel. They, therefore, have a major role in building the VPA’s political strength, and need to be brought into play in the new era. The VPA’s 70 years of building, fighting and development prove that literature and arts have stuck close to realities and honestly and vividly reflected the soldiers’ will, perseverance, creativeness, and bravery in life and every aspect of military operations, especially in the previous struggle for national independence, as well as in today’s cause of national construction and defence. Through highly ideological and artistic pieces of work, literature and arts have honoured the true, the good, and the beautiful, which helps to craft the image of the revolutionary military personnel and contributes to building the VPA politically strong. This will be the foundation for improving our military’s synthesized quality, combat strength, and victory. Clearly recognizing the significance of literature and arts, and thoroughly grasping the Party’s directives and resolutions, and the State’s policies and laws on literature and arts, the Central Military Commission, Ministry of National Defence, General Department of Politics, party executive committees and commanders of organizations and units in the whole VPA have stressed the importance of leading, directing, and coordinating literature and art activities, which helps to ensure synchronous, inclusive and in-depth development, meeting the requirements of building the VPA and soldiers’ spiritual life in each period. Functional organs at all levels have successfully performed their advisory role in making recommendations to the party executive committees and commanders on guidelines and measures to direct the development of literature and arts. The system of cultural institutions in the whole military has been established, strengthened and increasingly perfected. Military artists, especially those working for professional artistic units, have received basic, comprehensive and specialized training. They possess firm political spirit, good professional ethics and service, and high qualifications and professionalism; bring into play their leading role in the ideological and cultural front, and continue to inherit and exploit the valuable literature and art achievements in order to create works imbued with humanity and of high quality. Party executive committees and commanders at all levels pay regular attention to and create conditions for artists to execute popular literature activities and performance in units at the grassroots level, which helps to enrich the soldiers’ cultural and spiritual life. 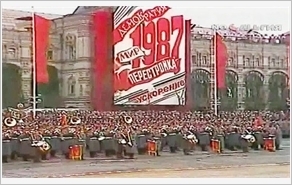 The military’s literature and artistic activities have contributed to propagandizing the Party’s guidelines and the State’s policies; facilitated the building of a rich and healthy cultural environment in the military, which helps to deter and deny the invasion of bad culture into the soldiers’ life. At the same time, they have made outstanding contributions to defeating the hostile forces’ plots of “peaceful evolution,” “depoliticizing” the VPA and inciting “self-evolution” and “self-transformation,” thus further improving the image of “Uncle Ho’s Soldiers” and military-people solidarity. However, there remain several limitations in literature and artistic activities in the military compared with their requirements. Some party executive committees and commanders’ perception of the position and role of literature and artistic activities is still insufficient. Some even disregard and pay little attention to leadership, direction and investment in this sphere. Few professional artistic units have not had plans for sustainable development yet; been slow in renewing their professional aspects; and shown little interest in the training of commanding officers and artists. Investment in composing in several types of literature and arts has been overstretched, lacked works of high quality, and failed to satisfy the soldiers’ increased cultural and spiritual needs. Some artists have not fully integrated with soldiers’ copious and lively realities at the grassroots level, particularly in training and combat readiness, and shown manifestations of pursuing trivial taste. Fighting and criticism in theoretical activity and criticism of literature and arts, and in the struggle against incorrect and hostile points of view and tendencies are not keen enough and ineffective. Current tasks of building the VPA and safeguarding the Fatherland are giving rise to new and comprehensive requirements. The military is not only equipped with increasingly modern weapon systems, the Party’s objectives and ideals, and high competence in combat, but also a force whose strength originates from the peoples’ cultural origin; knows how to produce and appreciate culture and arts in a subtle manner; and possesses a copious and healthy spiritual life. To this end, literature and cultural activities in the VPA need further renovation, especially the comprehensive attention of party executive committees and commanders at all levels. First, it is necessary to continue propagandize and raise awareness of the position and significance of literature and art work in the VPA. The ultimate goal of this is to achieve a unified perception and action in literature an art work. This process should be implemented regularly and continually with appropriate and effective content and measures. Apart from political education, units need to promote dissemination of the Party’s guidelines and the State’s policies and legislation on literature and arts among officers and soldiers, especially in respect of key leaders. Due regard should be paid to the renewal of content, methods and modes of propaganda and education, in which continual education should be aligned closely with theme or topical one, meeting the demand of each subject; the optimal use of the role of forces, mass media and cultural institutions. Propaganda and education are to be linked with disseminating the Directive No. 05-CT/TW of the Politburo (12th Tenure) on “Acceleration of studying and following Ho Chi Minh’s thought, morality and style,” the Resolution No. 4 of the 12th Party Central Committee on Party building, and the campaign “Promoting tradition, devoting talent to deserve to be Uncle Ho’s soldiers.” Propaganda should be aimed to increase military organizations and units’ awareness of the viewpoint: “Developing the cause of literature and arts; cultivating and creating every opportunity for writers and artists’ research and production; renovating mode of operation of the Party’s literature and art associations; and recognizing clearly the indispensable role of literature and arts in soldiers’ spiritual life. At the same time, it is recommended that responsibility for performing literature and art activities should rest on every organization and union, first and foremost party executive committee, commander, political commissar, political organization and officer at all levels. These people are directly involved with literature and art activities. Drawing on such basis, there is a need to promote responsibility for leadership, direction and realization to ensure that literature and art activities in the VPA are developed in the right direction and in an effective manner, enabling the creative potential of writers and artists, and facilitating the emergence of more and more good works of high artistry that timely reflects, popularizes and encourages soldiers’ morale during their training, operation and combat. Moreover, they also help to address “cultural invasion,” miscellaneous trend, commercialization, etc., in literature and art activities in the VPA. Second, bringing into play the leading role of party executive committees and key leaders at all levels in literature and art work. Party executive committees should acknowledge that literature and art work is a regular and important political task in their own units. Political commissars and military commanders at all levels are responsible for the inclusion of this mission in the general action plans of their units and to their party executive committees for all operations in the field of literature and arts. Political organizations are to bring into play their role in advising party executive committees, political commissars and military commanders to instruct and supervise units performing these tasks. Regarding leadership and implementation, it is necessary to assign experienced officers qualified for conducting literature and art activities to assist party executive committees in supplying sound guidance and appropriate methods in this area. Professional artistic units need to establish and execute regulations on literature and art activities, and set out mechanisms for effecting theory, criticism and review in the right direction. At the same time, regular attention should be paid to the supervision of units’ activities to work out measures to timely and deeply learn from this experience, making practical contributions to raising ideological and artistic value of works, suitable for soldiers’ level of enjoyment. The effectiveness of leadership and command of literature and art activities at various levels is manifested clearly in the quality and results of these activities. Therefore, party executive committees and commanders at levels should show due regard for leadership and direction in order to improve intelligence, philosophizing, practicality, and educability of literature and art activities in their units. Professional artistic units have to devote more time, intelligence and energy to ensuring that each work of arts once released will be successful in terms of content and artistic value and get planted deep in soldiers and people’s hearts and souls. Third, developing a sufficient staff of writers and artists to meet the demand of literature and art activities in the military. These are the people who directly produce and decide the quality and vitality of works of literature and art about the armed forces and revolutionary warfare. In fact, many people think that activities in this area are “easy”. That is an incorrect perception! On the contrary, literature and art activities constitute a special type of work, which is no less hardship and strenuousness; not suitable for people without aptitude, vocation and basic and careful training in specialized realms. Thus, the identification, planning and development of human resources for literature and arts for organizations and units, especially the professional artistic ones, are of significant importance. Accordingly, party executive committees and commanders at all levels should pay attention to the development of human resources and identification and cultivation of leaders, managers and talents in literature and arts in terms of knowledge, skills, political spirit, professional ethics, and so on. Moreover, it is necessary to consider developing policies to attract talents; encourage writers and artists to maintain a strong attachment to their career and monitor closely soldiers’ life and practical activities, particularly those working in remote areas, border areas, at sea, and on islands; and strengthen self-training and self-cultivation to compose works of literature and art of high ideological and artistic value, which reflect profoundly and vividly the armed forces and revolutionary warfare and further improve the image of “Uncle Ho’s Soldiers” through their own special cognition. Fourth, increasing investments for literature and arts in the VPA. People said that “fine words butter no parsnips” and “adversity brings wisdom.” These idioms match very well with every branch and realm, especially with the realm of literature and art. If there were insufficient investment in this field, literature and art activities could hardly be effective. In fact, the system of cultural institutions in the military still has many limitations and is not on a par with developments of required tasks. Many professional artistic units and training facilities lack proper equipment, which exerts a great influence on the quality of literature and art activities. Consequently, investment, management and improvement of infrastructure and equipment for literature and art activities in an appropriate, intensive and sustainable manner are of significant importance today. Literature and art represent a front. If due regard is paid to leadership, direction and implementation of literature and art activities, they will make practical contributions to promoting soldiers’ cultural and spiritual life and making the VPA strong politically, possess increased synthesized quality and combat strength and ready to successfully fulfill every assigned tasks.